Pyroplex® 30049 30 Minute Glazing Systems offer a range of solutions for glazing vision panels in fire doors. FG30 30 Minute Glazing Systems are fully flexible and supplied in slimline reels for easy storage and to minimise wastage. 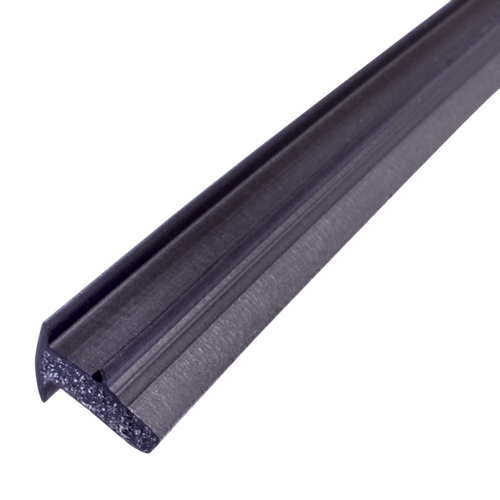 They are also approved for use on slimline economical beads. Pyroplex® FG30 30 Minute Glazing Systems are tested to BS 476: Part 22 and other international standards. 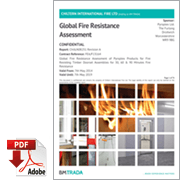 They are compliant with the requirements of Certifire TS25. Supplied on continuous reels for dispensing applications, ease of storage and to reduce wastage in cut-offs. 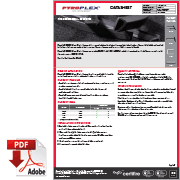 Supplied with a high performance self-adhesive backing for ease of application and installation. Pyroplex® intumescent material is totally unaffected by water, robust, ‘non-flaking’ and difficult to tear. Available in black, brown, cream and white. 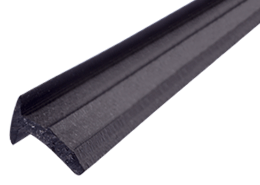 Pyroplex® FG30 30 Minute Glazing Systems have been specifically designed for use in glazed apertures in fire resisting timber doors and steel doors. 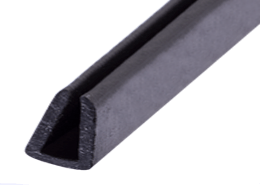 All doors must be lined with a 6mm hardwood liner around the perimeter of the aperture. Failure to line the aperture will invalidate the Certifire approval. 1. Unwind the glazing system from the coil. Remove the release liner from the product. Fit the product to the bead. 2. Mitre cut the bead [with glazing system installed] to fit the aperture. Install one complete side of the beading system using M5 x 50mm stainless steel screws at 150mm centres. 3. Cut glass to fit aperture with a tolerance of +/-2mm and install. Repeat steps for opposite side of the door. 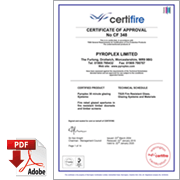 Pyroplex® FG30 30 Minute Glazing Systems have been tested to the requirements of Certifire TS25 and other international standards, including British Standards BS 476: Part 22. Providing the product is installed in accordance with the requirements of the guidance document the product is guaranteed for a period of 10 years.